As digital as we are, paper will not go away. Few companies have optimized their print marketing like they have optimized their online marketing. The printing industry is a giant $800bn per year (SmithersPira: The Future of Global Printing to 2018), and as a marketer we know it’s challenging to track the ROI of printed material. Commissioning a print run could require specialist knowledge, but it doesn’t need to. 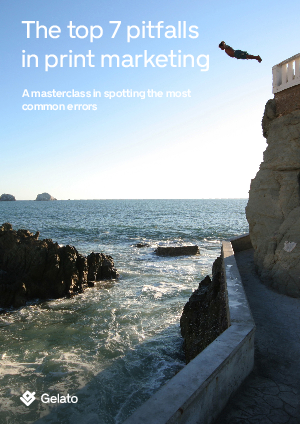 You may not realize the multiple factors built into your print marketing spend, and errors can be painful. Mistakes incur extra cost, delays, and potential dips in quality, harming your brand. Gelato shares some tips for smart printing.